Benfica could be in for a really interesting summer. The Portuguese club is still far from ending the season, as the Eagles are in UEFA Europa League quarterfinals and after a 4-2 first leg win over Eintracht Frankfurt, they could be set to enter the last four. 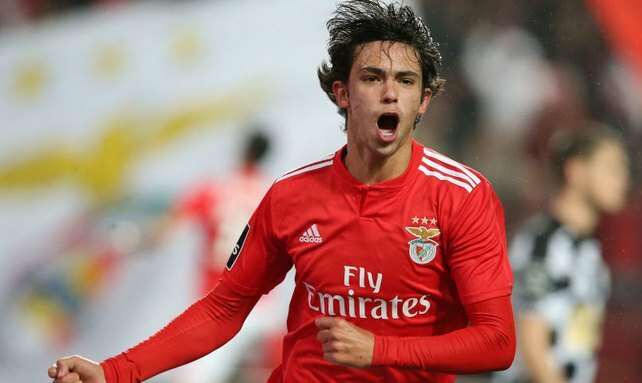 This means some of their players have been followed around and no one was followed more than Joao Felix. The 19-year-old striker had a night to remember on Thursday, as he became the youngest player in Europa League’s history to score a hat-trick. All of that, inevitably, led to another giant being interested in him. According to Tuttosport, that giant is Juventus. The club from Turin are preparing a huge summer bid for the player, according to them. That bid will have to be huge, as Benfica are not going to let their teenager go all too easy and they could out for the €120 million in his release clause.